Since Apple will release the iPhone, the company has continued to enter massive amounts of money. Currently, Apple is the most valuable company in history and has enough liquidity to buy any company that interests you. Thus, in recent years we have missed that Apple has acquired brands like Lala and Color. Precisely these two companies is the thing today: an employee of Color has revealed how the acquisition came platform Lala by Apple. Lala threatened all competitors to appear on Google music always among the top results. That is, each time a user wanted a song through search engines, Lala had more chance of being among the first results to the same iTunes Store or Myspace. Soon, Google was interested in the platform created by Bill Nguyen and started investing money to develop it with Google Music Beta. If Lala hitherto had not generated enough attention, and Nokia coming to fix the picture to Bill Nguyen offering a low sum of $ 11 million. Nguyen was found to be a real expert in the business world from the beginning, as she received the offer from Nokia, Google informed him. 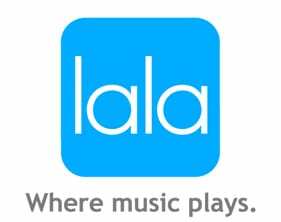 The deal between Google Music Beta and Lala was about to end, so the search was not interested and ended up losing the platform offering a higher sum. It was then, with two offers on the table, when Bill Nguyen called Steve Jobs to offer the purchase of Lala. Steve Jobs invited Nguyen to his home in Palo Alto was a dinner organized with senior Apple executives, including Eddy Cue were and Tim Cook. Jobs Nguyen passed a note saying, "I'll give you a number and if you like, get it over with all this." Bill said that he agreed he would not deny the amount that was reflected in the piece of paper: $ 160 million, including 80 million for the purchase of the company and another 80 for employee benefits. After the sale of Lala, Nguyen focused on other business: Color, would end in failure. Apple also bought this company for only $ 7 million. And this is the story of how business in the technology industry and how Apple was charged to a potential competitor: acquiring it. Article Lala's story: that is traded in the technology market was originally published in News iPhone .